Paramount Debut A Bunch of New International Banners for Marvel's 'THE AVENGERS'! A bunch of new character banners for Marvel's The Avengers have emerged online. Earlier we glimpsed some character posters for the movie. 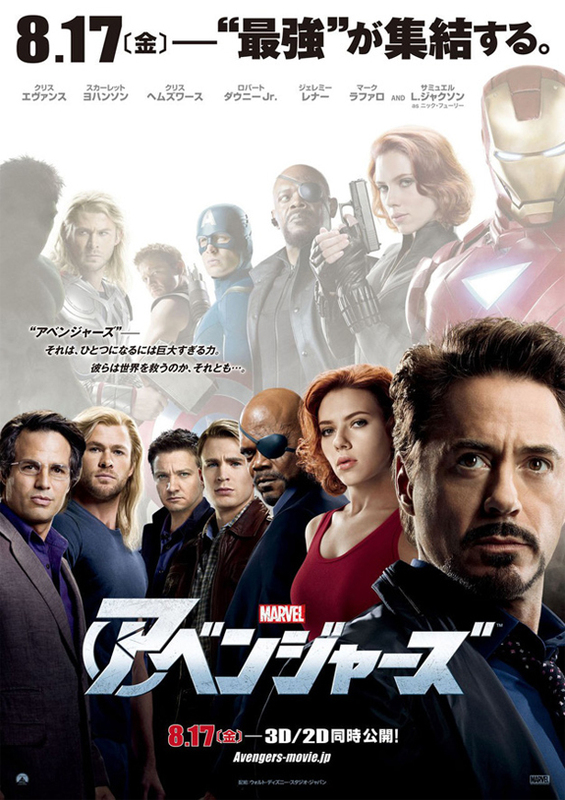 Written & directed by Joss Whedon, the movie stars Robert Downey Jr., Chris Evans, Mark Ruffalo, Chris Hemsworth, Scarlett Johansson, Jeremy Renner, Tom Hiddleston, Stellan Skarsgård & Samuel L. Jackson. The Avengers hits theaters this May 4th. Hit the jump for the details. Synopsis: "When an unexpected enemy emerges that threatens global safety and security, Nick Fury, Director of the international peacekeeping agency known as SHIELD, finds himself in need of a team to pull the world back from the brink of disaster. Spanning the globe, a daring recruitment effort begins." Images Via LatinoReview & MTV. I'm reading: Paramount Debut A Bunch of New International Banners for Marvel's 'THE AVENGERS'!Tweet this!